When attacking a portal its important to strike hard and strike fast. This is all the more important with the new notification system that keeps your enemy up to date on your every attack. There are two methods of attack that are used and in this tip I will show you the pros and cons of each. Press and Hold, then Swipe Upwards. 1. Fires off the highest level burster you have, so it strikes hard. 2. Simplest method. No menus to navigate. 3. Allows portal attacks to drain more of your XM. Ex: Starting with 5000 XM, then firing 1 L5 burster at a time allows a 3% attack to drain 142 XM. 1. Allows you to choose which level burster you fire, useful in conserving XM and surgical strikes. 2. Can launch multiple bursters before the first one even fires. 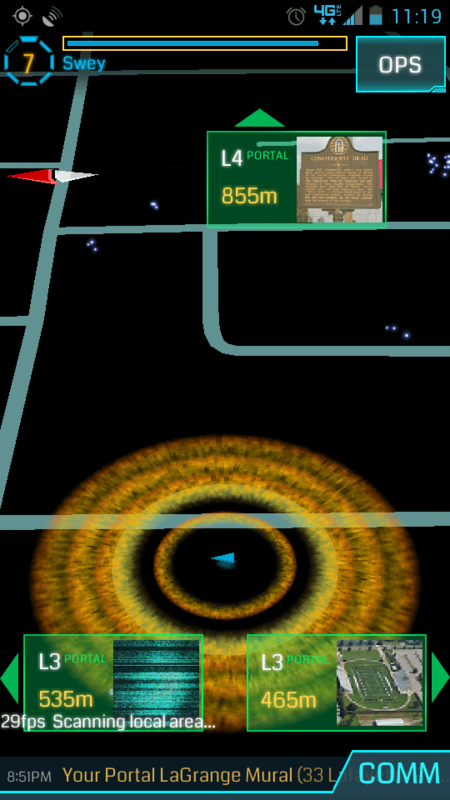 7-9 in 10 seconds, useful in knocking out a portal before the enemy even gets a notification and recharges. 3. Stacking your bursters limits the amount of XM the portal can take from you in the attacks that follow. Ex: Starting with 5000 xm then firing 5 L5 bursters the following 3% attacks will only cost you 113 xm. 1. Lots of buttons to press. Stacking Bursters for Striking Hard and Fast! Conclusion: The Carousel Method is the clear winner in which method to use here. The ability to stack bursters and attack swiftly far outweighs having to press an extra button or two. It is even more effective if you have whichever burster you want to use already selected in the menu enabling you to jump right into the fight. Thanks to Greenlite for the nifty names. what happens if you fire (actually order to fire via carousel) lets say 5 XMPs and you get zapped by portal in the middle of this attack what leaves you without XM? 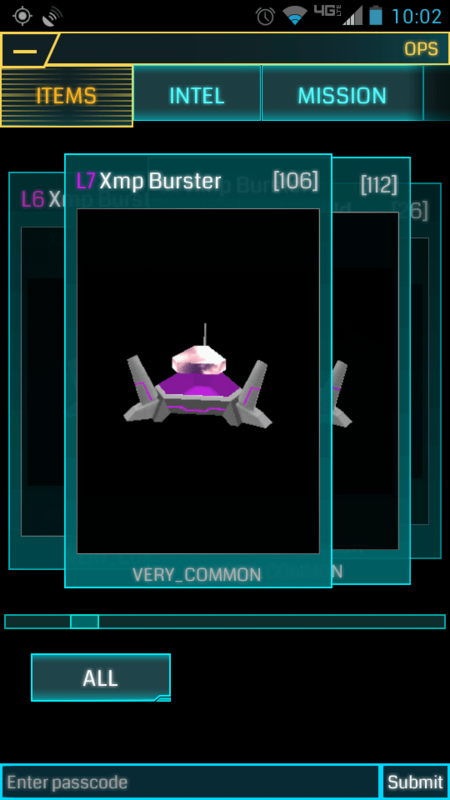 Nothing – you’ve already fired the XMP, which has already cost you XM, so when you get zapped you only lose a percentage of your remaining XM – all your bursters still fire. Thank you Gaz, thats an even bigger Pro to the carousel method, if you singly fire off 5 bursters, each attack will drain you more, but if you’ve already triggered . 5 Bursters to fire the attacks that follow will take less xm. I have not swiped to fire since the game was released. It has always been cumbersome to do so. The navigation menu just does not pop back up fast enough even with perfect timing. I am a very aggressive player meaning I never sit on busters for very long. I will farm a few hundred and then destroy everything i can as fast as I can with them and then go farm more. Other players like to try to build reserve but with the new mechanics you need to use the weapons to keep the linking to a minimum. Just yesterday I used this method of Carousel Bursting and destroyed half of our enemy fields and links in a few hours. The only reason I ever use the swipe method is when I do a driveby and want to leave my calling card. Nothing like sending an “I was here” xmp! So how does the Carousel method work? Do you just tap XMP, Use, XMP, Use, etc? With scanner update 1.39.1, the Carousel method of burster stacking seems to be completely defunct. 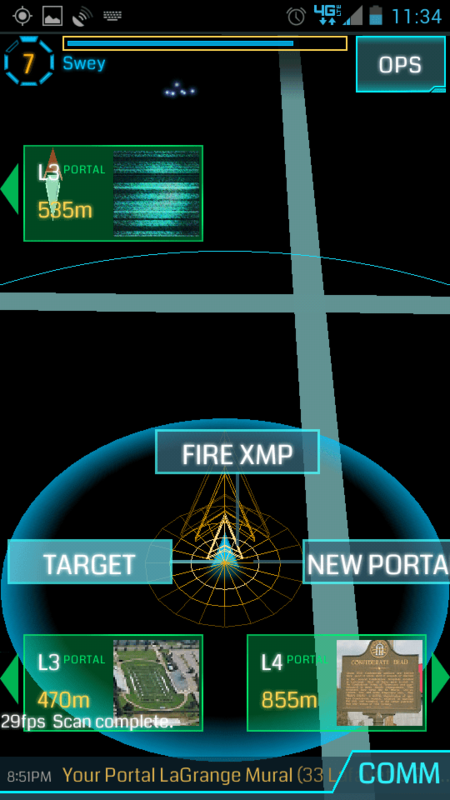 That is to say, selecting ‘Fire’ on an XMP from the inventory menu doesn’t automatically cause it to fire. It remains to be seen if there’s still a way to fire multiple bursters at once. Note that this is an outdated description. It is now almost impossible to fire effectively using the carousel method and you can’t stack bursters any more anyway. Additionally you can fire with +20% boost if you press-hold the fire button after swiping. I’m a noob, so forgive me if this doesn’t make sense. Does this need to be updated to show that you can hold down the “Fire” button to get increased damage?